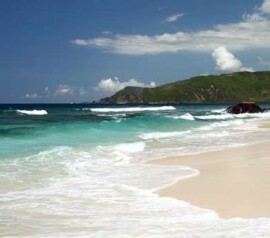 Fit to its name, Surga beach is like piece of heaven on earth (surga = heaven in indonesian). This beach keeps million of charms that will make you strange for a while, like you don’t step one the earth. 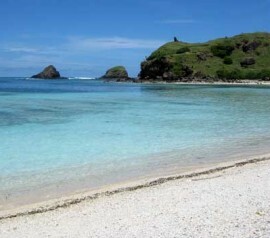 Surga beach lies in the tip of a remote bay, but the charm is way over the other Lombok beach. 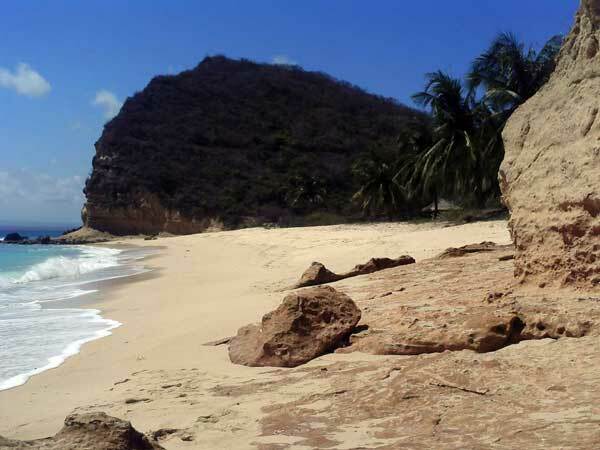 This beach is forted by two high steep banks in each tip, and the main beach located precisely in the middle of the steep bank. 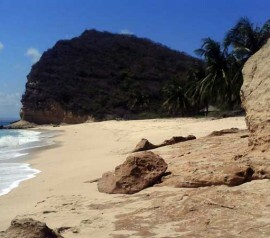 The main beach length not more than 600 m and has U shaped bay with circle-shape white sand. Almost all part of the beach is covered with white sand. 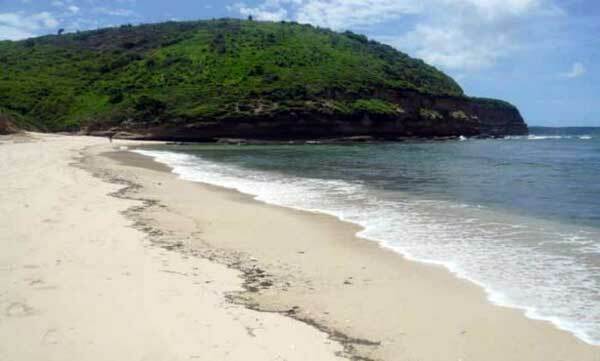 In this beach you can do many activities, from simply walking on the beach, swimming or surfing in lombok. If you’re adventurous person, you can enjoy the Surga beach’s beauty by climbing one of hills which are located in the right side of the beach. It takes 15 minutes to get into the hill’s top. After you reach it, you can sit on a berugak while enjoying the beach scenery and the rolling waves. The wind blows and the waves sound will sound very musical to you. But enjoying the beach from the top of the hill is not the main attraction here. The main attraction is the waves which always hunted by the surfers. All types of waves you can find here, from regular one to the high waves. If you included to be an adventurous on surfing board, try to visit this beach from June – October. On these months, the Surga beach’s waves are so challenging to be conquered. The beach visitors are not only domestic, but also foreign. Some of them visit it just for sightseeing but many of them come to this beach for swimming and surfing. The numbers is indeed less than the visitors in Senggigi Lombok and Kuta beach. 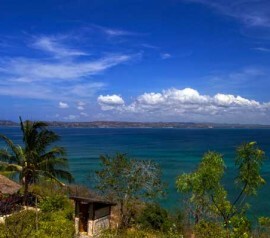 Surga beach located 72 km from Mataram city. Normally it can be reached in 1,5 hours by motorbike or personal vehicles. There is no public transportation to or passing this beach. If you heading from Mataram Lombok city, direct your vehicle to Mataram-Cakranegara-Praya-Ganti-Sepapan-Jerowaru-Jor-Pemongkang-Ekas-Surga beach route. 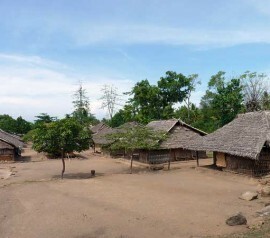 The road access are mostly adequate, its just 5 km before you reach the beach, you will meet less good road. In the rainy season it’s harder to be crossed. On the contrary, on dry season the road will be so dusty. This thing makes a phrase ‘heaven beach, hell road’. In the name of efficiency, you can manage your coming to surge beach with Sungkan, Kaliantan beach and Ekas bay. Also mentioned: surga beach, Fitto surga. Wear light cloths, hat, sunglasses, and sun block to prevent from the sunlight. If you want to swim, bring exchange cloths. There isn’t any public place for cloth exchanging, but you can use cliff and rock’s gap as your personal place to change cloths. If you want to stay in hotels, reserve it online by internet minimally 2 days before. 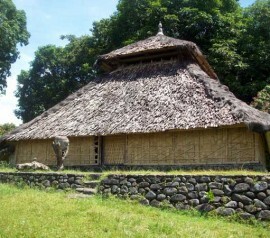 You can also spend the night in local people’s houses which are less than 1 km from the beach. Bring your own equipments if you want to do surfing or snorkeling. There isn’t any snorkeling / surfing rental here. Public Facilities: Hotels, parking place.